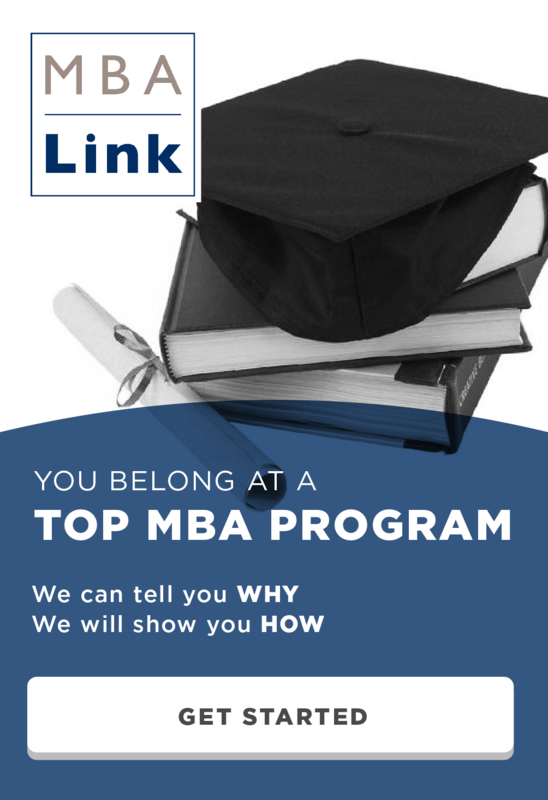 Every person who has ever considered applying to business school has considered how important the GMAT is to the admissions committee. It could be because that person did well and is hoping that their GMAT score will get them in or it could be that the person is trying to overcome a low GMAT score. I used the admissions data from GMAT Club to come up with actual data to answer this question. 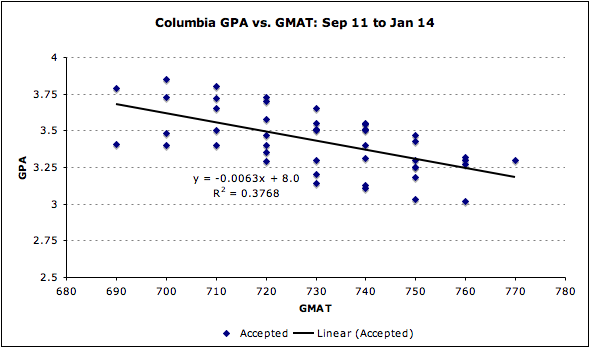 Here is my analysis of how much important to Columbia GMAT is. I looked at everyone who was admitted to CBS and also provided both GMAT and GPA. I found the slope of the admitted students with the lowest score to find out how much the CBS values the GMAT scores. I used this methodology because it is obvious that most schools will accept someone who has a 4.0 and an 800; it is the people who are on the border who matter. I also removed a few outlier data points on the low side because they probably had very influential connections to get in with their low scores, and that information isn’t relevant to the average applicant. You can see that the slope of the line for accepted students is .0063. This means that for every 10 points higher you score on the GMAT, it is the equivalent of having a GPA that is .063 points higher. So Columbia would roughly consider an applicant with a 800 GMAT and 3.00 GPA as similar to an applicant with a 700 and a 3.63 GPA. The value of .063 is higher than most schools other than Harvard, which is at .093. Columbia GMAT and GPA. It isn’t helpful to look at the top 50% of applicants because those are not the marginal candidates who barely got in. I occasionally will remove very low outliers because those candidates may have been admitted due to very strong connections that most applicants don’t have. I never remove more than 5% of the total accepted students as outliers. The slope of the scatterplot demonstrates the point at which the school is indifferent to GMAT vs. GPA. The data for this analysis comes from Columbia GMAT Club.